by Jason Raphael Rambach, Chengbiao Deng, Alain Pagani, Didier Stricker has been accepted at ISMAR 2018. The paper will be presented in a poster session. The conference will take place in Munich from 16 – 20th October 2018. The IEEE ISMAR is the leading international academic conference in the fields of Augmented Reality and Mixed Reality.  The symposium is organized and supported by the IEEE Computer Society and IEEE VGTC. The Augmented Vision Group of the German Research Center for Artificial Intelligence (DFKI) presented the results of the European project “Eyes of Things” (Grant number 643924) during a final review in September 2018, together with seven partners from across Europe. Following the overall goal of the project, the consortium delivered a miniature and independent Computer Vision system based on a low-power and dedicated vision processor from the company Intel Movidius, with interfaces to three different energy-efficient cameras (AMS-Awaiba NanEye, Sony, Himax). The battery-powered device has a very small form factor, and is able to run computer vision tasks continuously (“always on”) for several days. The developed wireless interface allows for exchanging processed data with companion devices (tablets, smartphones) or for storing information in the cloud. 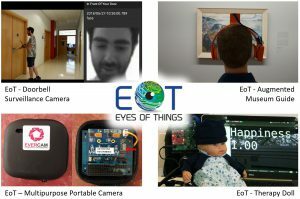 The versatility of the Eyes Of Things device could be successfully demon-strated through the development of four different applications: A doorbell surveillance application which notifies the house owner about visits on his smartphone, a therapy doll which analyses the emotion profile of young patients through vision-based emotion recognition, a multi-purpose camera which synchronizes user-defined events in a cloud-based virtual memory and an intelligent audio guide for museums which recognizes artworks and automatically plays contextual audio comments. During the review, the partners presented the results of pilot tests for all demonstrators. 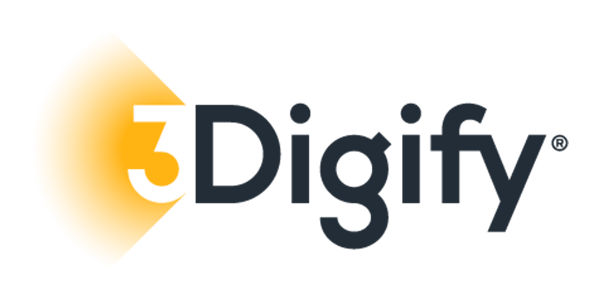 The consortium received the mention “all project aims have been successfully achieved”, which is the highest possible review outcome. Two of the project’s demonstrators – the multi-purpose surveillance camera and the Augmented Museum Guide – will be developed and commercialized as user products in partnership with DFKI in the upcoming months. 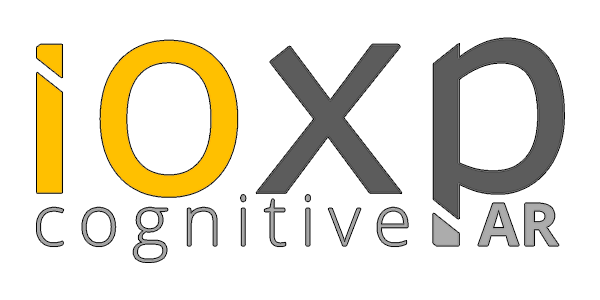 The Augmented Vision Group of the German Research Center for Artificial Intelligence (DFKI) co-organized the 2. ACM Computer Science in Cars Symposium 2018 (CSCS’18). CSCS is an annual symposium aiming to create bridges between academic research on the one hand and practitioners from the automotive industry on the other. The two days event combined a single track program with invited keynotes, academic oral presentations, poster presentations and a panel discussion. The symposium provided a platform for industry and academia to exchange ideas and meet these future challenges jointly. The focus of the 2018 symposium was Artificial Intelligence & Security for Autonomous Vehicles. In the panel discussion the current challenges of Artificial Intelligence for ASAS and Autonomous Vehicles were discussed with experts in this domain. Amongst others the validation of AI systems, the required vision sensor setup and training data, user acceptance, legal challenges, and many more were discussed. The panel was moderated by the AV-member Dr. Oliver Wasenmüller. 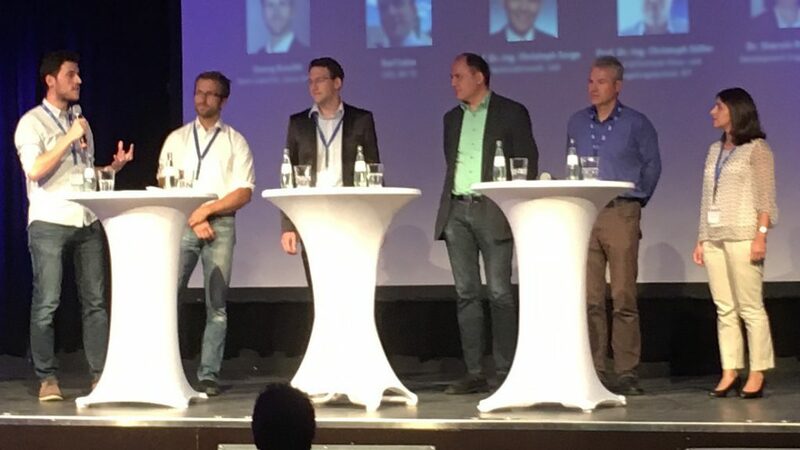 CSCS panel discussion: Dr. Oliver Wasenmüller (Team Leader Machine Vision, DFKI), Georg Kuschk (Team Leader Machine Learning, Astyx), Karl Leiss (CEO, BIT-TS), Prof. Dr. Christoph Sorge (Professor Legal Informatics, UdS), Prof. Dr. Christoph Stiller (Director Institute MRT, KIT), Dr. Shervin Raafatnia (AI Validation Engineer, Bosch). …by Kripasindhu Sarkar, Basavaraj Hampiholi, Kiran Varanasi, Didier Stricker is accepted in ECCV 2018. The ECCV-series is a premiere conference of computer vision, organized in alteration with ICCV, the international version on the same topic. Where ICCV is organized on odd years, ECCV is organized on even years. This year ECCV will take place in Munich from 08 – 14 September. 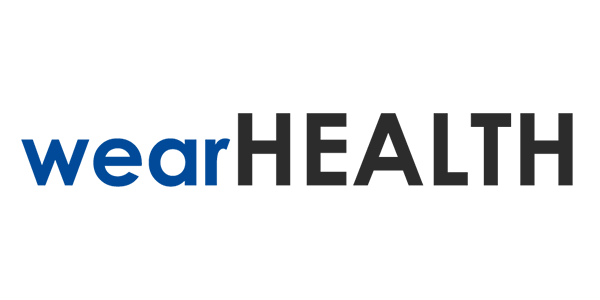 3D Vision will be held in Verona, Italy, September 5 – 8, 2018. It is a rapidly growing conference focusing on all aspects of 3D vision and 3D processing. 3DV provides “a premier platform for disseminating research results covering a broad variety of topics in the area of 3D research in computer vision and graphics, from novel optical sensors, signal processing, geometric modeling, representation and transmission, to visualization and interaction, and a variety of applications”. More information on the conference program can be found here. On 24th of July DFKI was honoured with a top-class visit. Accompanied by Prof. Dr. Konrad Wolf, Minister of Science of Rhineland-Palatinate, Federal Minister Anja Karliczek gained insights into current research trends in digital education, machine learning, and the role of people in the factory of the future. More detailed information about the visit as well as further pictures can be found in the DFKI press release. The Augmented Vision department of DFKI was honored as one of the 100 innovative award winners of the competition “Ausgezeichnete Orte im Land der Ideen – Excellent Places in the Country of Ideas” in Berlin on June 4th 2018 during a ceremony in Berlin. An independent jury selected the projects from almost 1,500 submitted applications. A certificate signed by the Federal President as well as a panel of honor will make the award visible. According to the annual motto “Connecting Worlds – Strengthening Cohesion”, the Augmented Vision department shows how innovations emerge in research and explore “AI for humans”. The department researches on different application areas of Computer Vision, such as Augmented Reality, Medicine and Automotive. The jury highlighted the project “Alter Ego” as particularly praiseworthy in which a digital twin helps patients with social disorders to improve their communication skills. 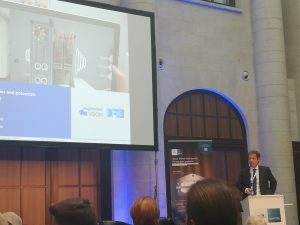 On May 15th Dr. Oliver Wasenmüller was giving a Keynote Lecture on visual perception in autonomous driving on the Mannheim Computer Science Colloquium. In his presentation, he introduced the different stages of autonomous driving and explained the central role of visual perception for them. Decisive for automated driving functions is, for example, the determination of distances to other road users (such as vehicles, cyclists, pedestrians, etc. ), the detection of lanes and traffic signs or the precise localization of one’s own vehicle. Furthermore, the movements in the environment have to be captured accurately in order to make predictions about the near future. The research of Dr. Wasenmüller’s team ‘Machine Vision and Autonomous Vehicles’ deals exactly with these challenges and is looking for more innovative methods to better perceive the vehicle environment. The Mannheim Computer Science Colloquium serves to present and discuss new research results as well as new methods, techniques and solutions of computer science. Every month another speaker from science or industry is invited to present the latest trends in a given topic. Prof. Stricker presented at the INNOSPACE event of Airbus, ESA and HBO the current state of the art of Augmented Reality and newest results about how to automate content creation (see start-up www.ioxp.de) and initialize 3D tracking without any preparation or set-up work.